This presentation will give an overview and analysis of the current statistics for online art sales and their potential within the brick and mortar art world. 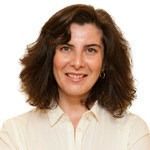 Elena has over nine years of project management experience specializing in business development and partnerships. With a background in business and arts, she enjoys bridging cultural and business spaces together, allowing creating and further developing dynamic and innovative ventures.